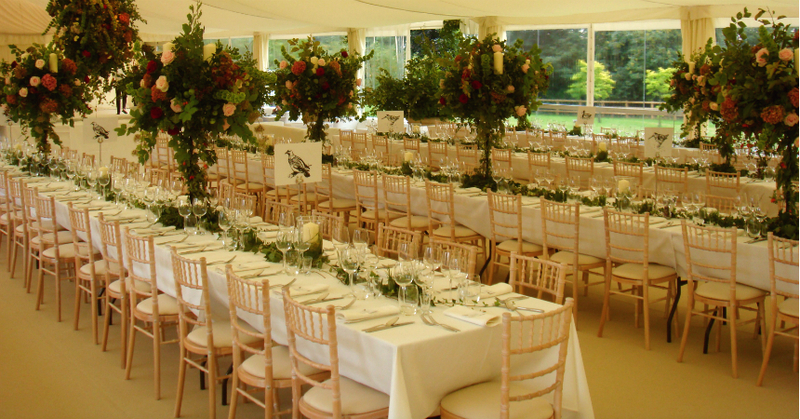 To the untrained eye, the Chiavari and the Camelot chair look almost identical; and whilst the Camelot chair is similar in its overall design, its features do hold some well-thought-out differences that are important to consider. The origins of this chair can be traced back to the turn of the 19th Century, to a small town on the west cost of Italy. Not-so-coincidentally, this town was called Chiavari . Since then, the name ‘Chiavari’ has become a blanket term for this style of chair. With its rustic charm and allure, the attractive design of the Chiavari chair has been the catalyst of its success. Now a renowned party and wedding chair favourite, the Chiavari has been adapted for use across Europe, America and the Far East over the past two decades. This has resulted in some slight differences between the different styles. Comfort – The most notable difference is that our Camelot Chairs have been designed with comfort in mind. This is why you will find that they have a curved back as opposed to a straight one. Cut – our Camelots are crafted using advanced machinery to make them lightweight and slimline, meaning you can place 10 Camelot Chairs around a 5ft round table with ease. This is something to be aware of when you are organising your table plan, as there are adaptations of the Chiavari which are designed with wider seat pads. This means you would only fit 8 around a 5ft table. When it comes to event seating, we’ve certainly done our homework before choosing which chairs to supply to our customers. As a result, we chose the Camelot Chair as it benefits from being a comfortable, strong, stackable and easily transportable option. In our experience, the Camelot chair is an absolute winner when it comes to event seating. As an added bonus, it doesn’t just come in one colour – you can choose to have it in an antique limewash finish, black, white, silver or gold. Whether it be traditional or contemporary – if you’re looking for a Chiavari style without compromising on comfort, then you’ve come to the right place! Our Camelot chairs are an extremely popular hire choice for Weddings, Parties, Bar and Bat Mitzvahs, Corporate Events and Awards Ceremonies to name a few. Get your quotation today from our friendly sales team by emailing sales@furniture4events.com.